The “Oregon Standoff” seems to me a blatant illustration of the white supremacist foundations of the U.S. I wake up every morning incredulous that it’s still going on. That law enforcement allows the occupiers supporters to come and go, bringing supplies, setting up “perimeter reinforcements,” talking with reporters and delegations of men trying to end the “standoff.” For example, read this report from Jan 10. Even some of the history preceding the standoff clearly illustrates racism at work. For example, the Hammonds, whose re-sentencing for arson on public lands sparked the standoff, were originally sentenced to less than the legally mandated minimum sentence for their crime. Minimum sentencing laws are integral to the New Jim Crow system described by Michelle Alexander. Yet in sentencing the white ranchers, the judge said “I will impose a sentence that I believe is defensible under the law, but also one that is defensible to my conscience.” Granted the differences (nothing related to drugs, yet still a crime committed), I doubt a black, brown or Native American ranching family would have been let off so easily. When I think of other groups besides white men who might be allowed to spend 10 days occupying a Federal property while armed with assault weapons, none come to mind. Black men? No way. Not even black women or children. Black people have been shot and even bombed for occupying their own property. Native Americans were driven off the land in Oregon and everywhere else in the U.S. by the ancestors of those white militias in Burns. More recently consider Pine Ridge, Wounded Knee, in 1973. the occupiers were fired on heavily and food and supplies were cut off. 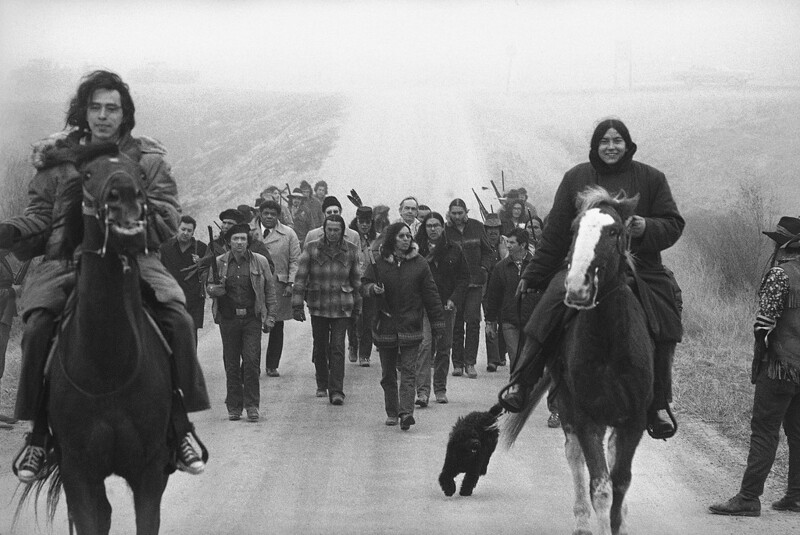 Some of the organizers from the American Indian Movement are still in prison. Not all white men would qualify for a hands-off approach, including unarmed groups. What if it were an environmental group occupying the site? Or students occupying university administration centers. At Kent State University white students were shot and killed. 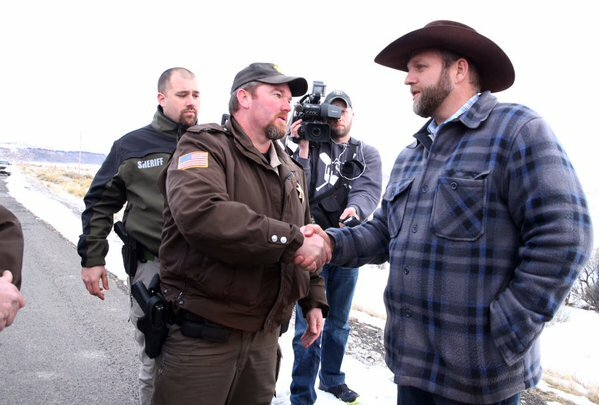 I need to be clear that I am not suggesting that the Burns, Oregon occupiers should be shot. Rather, I believe that in a situation where armed or unarmed citizens stage a protest by occupying a strategic location illegally, the law enforcers with responsibility in that place, whether police, sheriffs, or Federal officers, need to work out a method of removing the people from that location without loss of life. But the example of what is happening in Oregon, compared with past situations, clearly illustrates that not all occupiers lives are equally valued. In fact, people of color carrying toy guns in public space are killed with impunity, as the Black Lives Matter movement has been bringing to our attention. Meanwhile, these white men with real weapons, weapons they have threatened to use, have been allowed to conduct their protest without interference, no siege to deny them supplies, not a whiff of tear gas. They converse unimpeded with the media, which broadcasts their ideas in a respectful manner throughout the country. 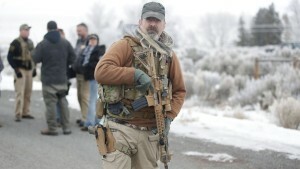 I see in these militias the current manifestations of the armed white men who committed genocide against native peoples, supported and enforced the enslavement of African peoples, fought to take land from Mexico in the past and today roam the borders with guns to prevent Mexicans from crossing. In short, I see the agents charged with maintaining our white supremacist system, pushing back against some of the gains made by environmentalists trying to protect our public lands. Give them badges and how do you distinguish them from the police?